Pedro Ximenez: 23 Minuets. 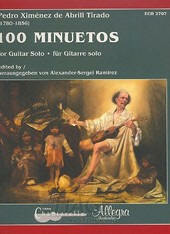 Anonymous:Andante in E minor; Rondo in G; 8 Minuets; Largo in B minor; Fandango; Toccata. The little-known composer Pedro Ximenez de Abrill produced hundreds of pieces of music during the first half of the 19th century, both in his native Peru and in neighboring Bolivia. In 2004, in Sucre, Bolivia, the American historian and author William L. Lofstrom was approached in the street by a man of Bolivian origin offering to sell him a vast quantity of antique hand-written music manuscripts from the pen of the Peruvian musician Pedro Ximenez de Abrill (1780-1857), an individual sometimes referred to as the “Rossini of South America” by his contemporaries. These documents, crafted on handmade rag paper and in almost pristine condition, were apparently discovered in a sizeable trunk which the man had inherited from four elderly deceased cousins. Ximenez de Abrill was a highly prolific composer who wrote psalms, masses, hymns, passions, symphonies, waltzes and sonatas—the list goes on. So important was this “find” that they now reside in the National Archives of Bolivia. You couldn’t make this story up! 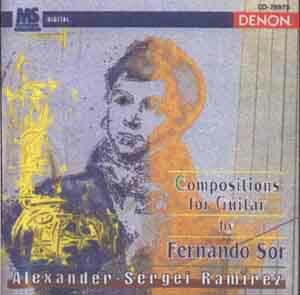 Among the manuscripts were 100 minuets for solo guitar, 23 of which were chosen for this disc by Alexander-Sergei Ramirez—himself of Peruvian origin—and these have proven to be a real eye-opener, certainly for this reviewer, for without a doubt this recording contains some of the most splendidly charming pieces of guitar music from the 19th century I have come across. They are highly inventive, with strong melodic lines and musical appeal. If the minuets on this disc are representative of Ximenez de Abril’s music, then I can well see a surge in interest in his other works, as well. The remainder of the program is of equal merit, with 13 very attractive anonymous works taken from two different collections: the Quaderno—Musica para Guitarra de Mathias Jose Maestro (1786) and Libro de Zifra (1805). Once more, these are compositions of high merit and musicality, none of them seemingly inserted into the program as simply “filler.” The absolute pinnacle of this recording has to be the Largo in B minor (from Quaderno…’), a profound, somber, strongly emotive, Weiss-like composition which is worth the price of this CD alone. 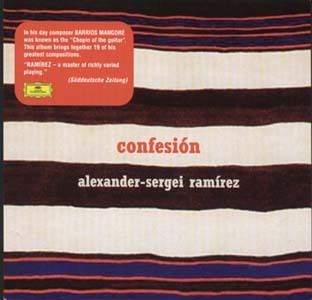 Alexander-Sergei Ramirez proves himself to be an excellent ambassador for these works, and one cannot really imagine these performances improved in any way. The recorded sound is top-class, as are the sleeve notes and well-designed packaging. A quality release from every aspect, and very highly recommended. Die Gitarre ist „das“ klassische Soloinstrument Lateinamerikas. Und als wahre Schätze erweisen sich die Gitarrenstücke des erst vor Kurzem „wiederentdeckten“ peruanischen Komponisten Pedro Ximénez (1780 –1857). Der in Düsseldorf lebende peruanische Gitarrist Alexander-Sergei Ramirez hat Ximénez so eindringlich mit Noblesse, Feingefühl und großer Herzens-Intensität zum Leben erweckt, dass man schon nach dem ersten der insgesamt 24 „Minuets“, die 1844 in Paris erschienen, der faszinierenden Schönheit seines Spiels erliegt, und sich dann mehr als eine Stunde lang wundert über die musikalische Qualität und die lyrische Kraft dieser meist einfach gebauten, 32 Takte langen Miniaturen. 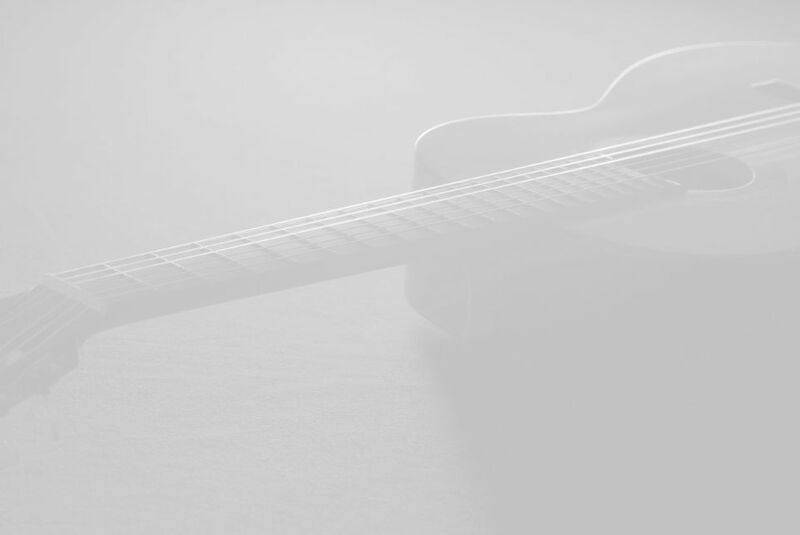 Das ist das schönste, das suggestivste Gitarrenalbum seit Langem und ein weiteres empfindsames Plädoyer für die Intimität und den Zauber der klassischen Gitarre, die, wenn sie so leuchtend und perfekt gespielt wird, endlich auch in unseren Breitengraden mehr Freunde finden sollte. 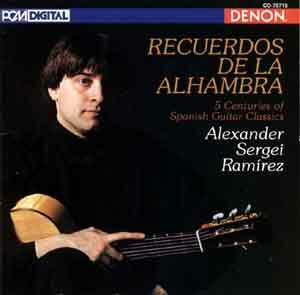 of the Latin American guitar history. 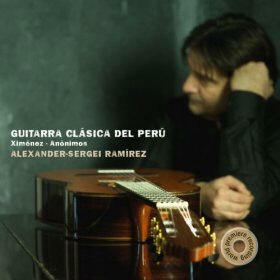 Ramirez on a journey discovering the beauty and power of classical guitarmusic from all over the world! 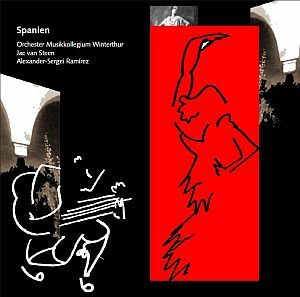 "Very rarely might one heard a more fascinating guitar-recording"
" …with a virtuosity beyond all criticism and an extremly sensual tone - it was a true musical treat for every aficionado of guitar music!" 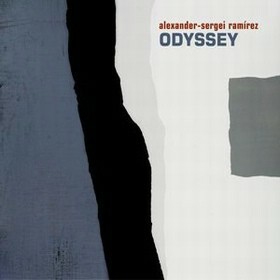 Played with unbelievable virtuosity, which was combined with profound musicality, and a crystalline clarity, Ramirez´s "Odyssey" is a multivision for the ears with its brilliant quality. His way of playing is dramatic and powerful. 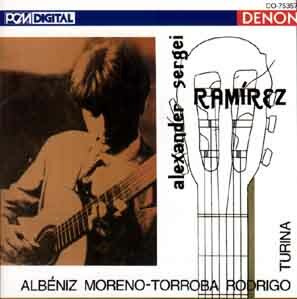 Ramirez is a free explorer among guitarists, capable of climbing without any ropes, the impenetrable peaks of great difficulty with an ease and smoothness that appears seemingly effortless. "Just about the most engrossing 75 minutes I can imagine. I talk back here, with humility and shame, everything negative I ever said about this music. Shaham · Sinopoli · Terfel · Yepes · a.o. "Gitarrenwerke von Fernando Sor (1778-1839)"
"Ramirez zaubert gitarristische Farben und organisiert die Stimmverläufe ohne jegliche Aussetzer. Ein virtuoses Hörabenteuer. 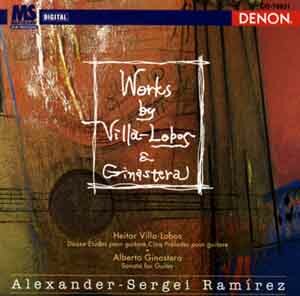 "Guitarworks by H. Villa-Lobos & A. Ginastera"
"Es sind noch einige andere gute Aufnahmen der Ginastera Sonate erhältlich, jedoch ist keine besser als diese..."
7 Diferencias sobre "Guardame las vacas"